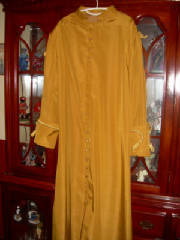 This Bishop/Minister's robe is Gold w/gold button closure in front and gold buttons above back side pleats. 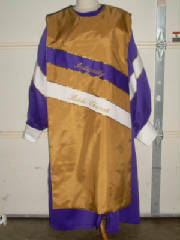 Robe has gold ropes on each sholder, around back collar, and on each sleeve. 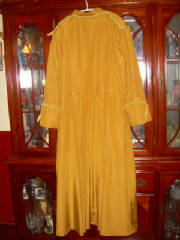 Robe is lined from waist up. 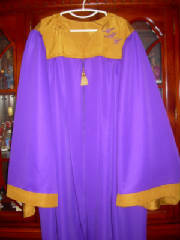 Robe also has a gold belt and inset side pockets. 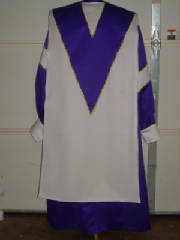 Inititals are monogrammed on belt.. 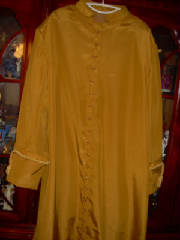 Height measurements should be from base of neck to desired length!! 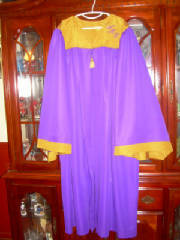 This robe is purple w/contrasting gold bodice and sleeve band. 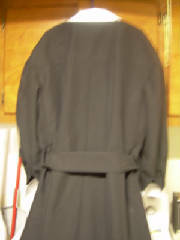 Robe has front zipper closure and inset side pockets. 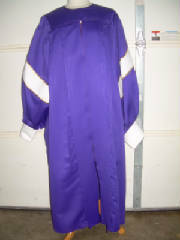 Robe is very loose fitting. 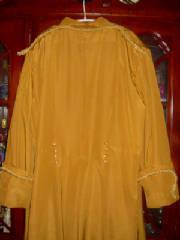 Initials are monogrammed on bodice front. Height measurements are from base of neck to desired length!! 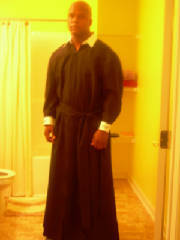 This Bishop/Minister's robe is black w/white collar and sleeve cuffs. 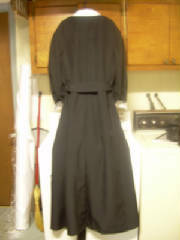 Robe has a front zipper closure, pleat in back, belt and inset side pockets. 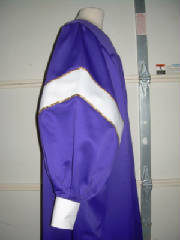 Inititals are monogrammed on sleeve cuffs. 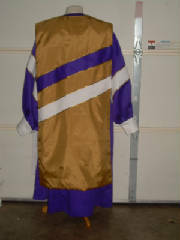 This robe is purple & white w/reversible white & purple, gold, purple & white overlay and gold trim. 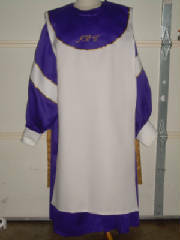 Church initials are on the white and purple side and full church name is on the gold side. 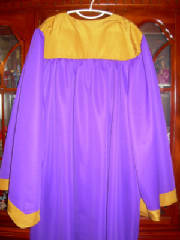 Robe bodice has velcro closure and front robe has zipper closure. 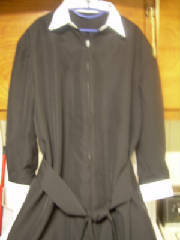 Robe sleeve cuffs have velcro closure. 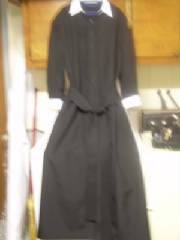 Robe is very loose fitting. New Merchandise Will Be Added Often!